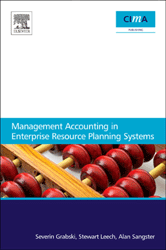 Current evidence points to management accountants using traditional software (such as spreadsheets) for budgeting, ABC, balanced scorecards and other performance management techniques independent of, rather than integrated with Enterprise Resource Planning (ERP) Systems. While there has been some limited research on the effects of ERP systems on management accountants, this report provides a comprehensive analysis of the consequences of implementation of ERP systems for management accountants.This report provides a theoretical basis for studying the impact of Enterprise Resource Planning (ERP) systems on management accounting and provides critical insights into the opportunities provided by ERP systems for the most efficient use of management accounting techniques. The seven UK case studies of ERP implementations reveal the correlation between the success of the system implementation and the development of the role of management accountants in business partners thereby identifying the changes and skills required of management accountants. The book provides guidance to management accountants on the changes they need to make in order to achieve the most from an ERP system implementation.